Are there any reliable sources which document what the population of Los Santos is in Grand Theft Auto 5? I am aware that most civilians will likely respawn elsewhere in the city - otherwise, in theory, a player of GTA5 could wipe out the entire city (although it will certainly take some time to do!). I played for an hour yesterday evening - as I'm sure that one or two others across the globe may have also done - and it dawned on me that I have not read nor heard anything about the population of Los Santos. If anybody can help I would love to learn this. For clarity, please note that by "population" I mean the number of human beings living in Los Santos, regardless of their profession, colour or creed. According to the Grand Theft Auto Wiki, Los Santos has a population of over 4 million. While I cant find any official sources I'm going to take a stab at it. The short answer is that there is no answer. Here is how it works; you drive into a street and the game decides there should be pedestrians there. It spawns ten people with randomized clothes. You drive past them all and when gone far enough the game simply deletes them again. This is because of the limited memory, simulating every citizen all the time is currently not possible. So there isn't a fixed "pool" of people, each one individually created by a designer. You can't make person #1003 be named Joe, wear black jeans that live here and drives that car. Or, I suppose you could but these need to be stored somewhere (hard drive or disc) space that the game already pushes to the limit. And for what gain? You simple drive past (or murder) the vast majority of them anyway. The exceptions are of course the scripted events and missions, which contain specific characters that act in a specific way according to the story. Now what we can do is extrapolate. Knowing the type of houses in a neighbourhood, the average amount of people living in those houses and the size of the neighbourhood we can calculate a plausible number of citizens (fun challenge, anyone up for some math?). So in short, any number you would get wouldn't mean anything. The game is made to quickly populate any area with randomized citizens. Only the part of town in close proximity to the character you play actually exists. Well my English is not great but I will try; there are 9.800.000 people living in L.A. county with a somewhat similar geography. It covers 4.083 square miles. 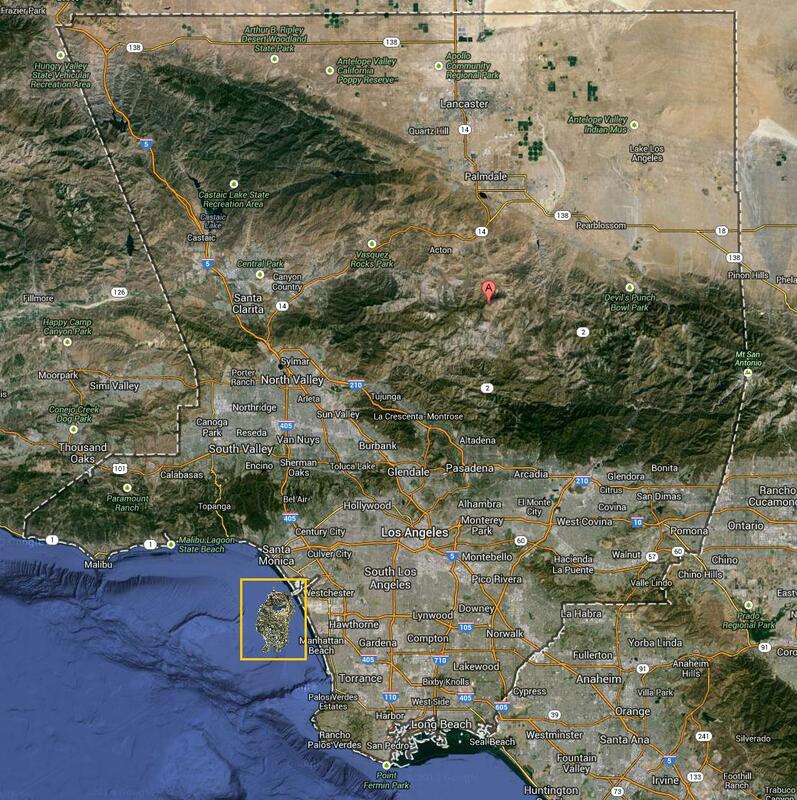 GTA V covers 49 square miles. If you divide 9.800.000 by 4.083 you get 2400 (a little bit more). 49 times 2400 = 117.600. But offcourse this is just an estimate. I've made a real scale comparison of the two. Los Angeles and Los Santos in one map. While is very hard to answer quite a question,and like mizipzor answered, its pretty much impossible to know how many people there are. "Pretty much impossible" so its possible, if you get my meaning. After seeing this question 9 days ago I have been studying the area of San Andreas and made an estimate. I started with Los Santos. I looked at how many houses there are in Los Santos and, since the average American has 2.2 children (dont know how that works) I said okay, put 4 people in each house, 2 children, two adults. The number is 2,346 people. Keep in mind that these are houses, not apartments, which is where most of the population live. Did the same for apartments and residential skyscrapers and BOOM! Los Santos has a population of about 1,848,228 people.In my final estimate I bring it down by 2,500 because not everyone has children of course. Done the same to Sandy Shores but increased it because the average American "Redneck" as many so call them, have about 4 children each. So I estimated that there are about 14,994 people living in Sandy Shores. I did that for Paleto Bay, Grapeseed, Dingnitty Village, every settlement in the game. I finally concluded that there are about 3.634,870 people living in San Andreas. Rockstar says over 4 million people live there, but we can all agree that thats total bull s**t.
I also want to say that there is obviously more cops in San Andreas than people. Go into invincibility mode and start a cop killing spree. Those f**kers keep coming! My town of Eastbourne has a population of 100,000 and its a hell of a lot smaller than Los SAntos. Look at a map of Eastbourne and than Los Santos. Its an illogical imbalance but we can all forgive GTA cant we? But there's your answer. 3,634,870 people live in San Andreas. I hope I answered your question and I helped many people. Thank you very much for reading and terra! Can Grand Theft Auto V be censored? Grand Theft Auto V - cloud save?